Radical treatment of muscle-invasive bladder cancer—are options equal? To compare the modalities used to treat muscle-invasive bladder cancer (MIBC) and assess response to fractionated neoadjuvant chemotherapy. We retrospectively reviewed patients with MIBC that were treated with neoadjuvant fractionated gemcitabine–cisplatin (GC) and subsequently received radical treatment. Disease-free interval and overall survival curves were constructed using the Kaplan–Meier method. A Cox proportional hazards model was used to obtain hazard ratios, confidence intervals and associated p value in a univariate analysis. A total of 122 patients were included, of which 21 (17%) patients were treated with radiotherapy (RT), 27 (22%) were given chemo-radiotherapy (CRT) and (61%) 74 had surgery only. Median follow-up is 4.8 years (range 0.7–11.8 years). Definitive treatment did not significantly affect overall survival (p = 0.16) or disease-free interval (p = 0.74). The 5 year overall survival rates were 44% for RT, 54% for CRT and 55% for surgery and 47, 49 and 58% respectively, for disease-free interval. Ninety-six percent of patients received at least three cycles of fractionated neoadjuvant GC. Twenty-six percent of patients achieved a pathological complete response post cystectomy and only two patients progressed during this treatment. Patients with MIBC can potentially be treated with surgery, or with bladder preserving techniques—RT and CRT. 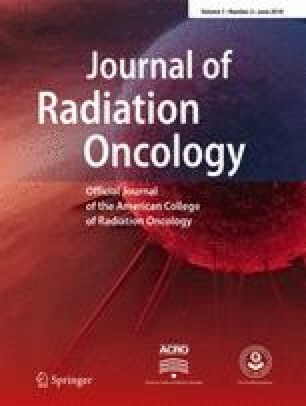 No randomised evidence exists to directly compare radical options and a frequently used neoadjuvant chemotherapy regime also lacks randomised data. Patients responded well to and tolerated fractionated gemcitabine and cisplatin. This regime can be used in patients with an eGFR as low as 40 ml/min. Our results support the use of chemo-radiotherapy or surgery as radical treatments in suitable patients with MIBC. All patients should be considered for and be given the option of both cystectomy and chemo-radiotherapy. For this type of study, formal consent is not required. /Informed consent was obtained from all individual participants included in the study.